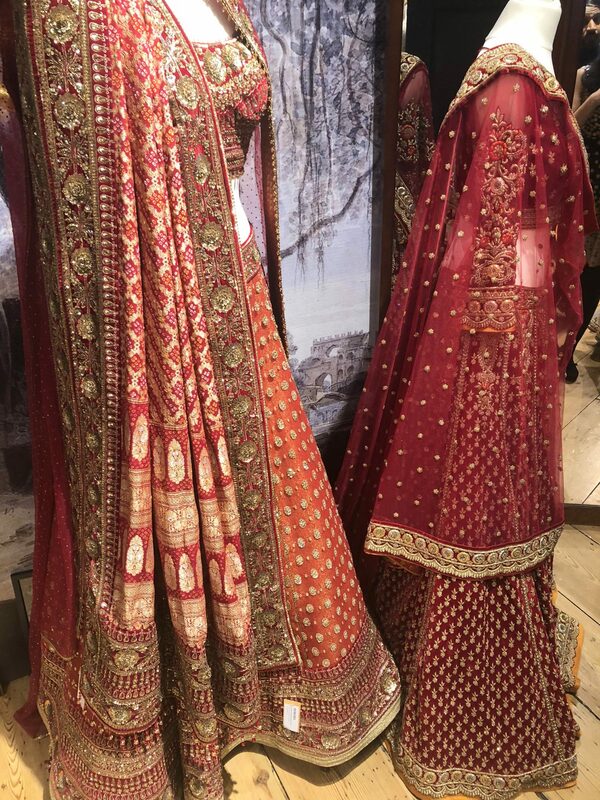 The fourth edition of the Aashni & Co Wedding show was a great platform to showcase finest Indian designs on an international platform. 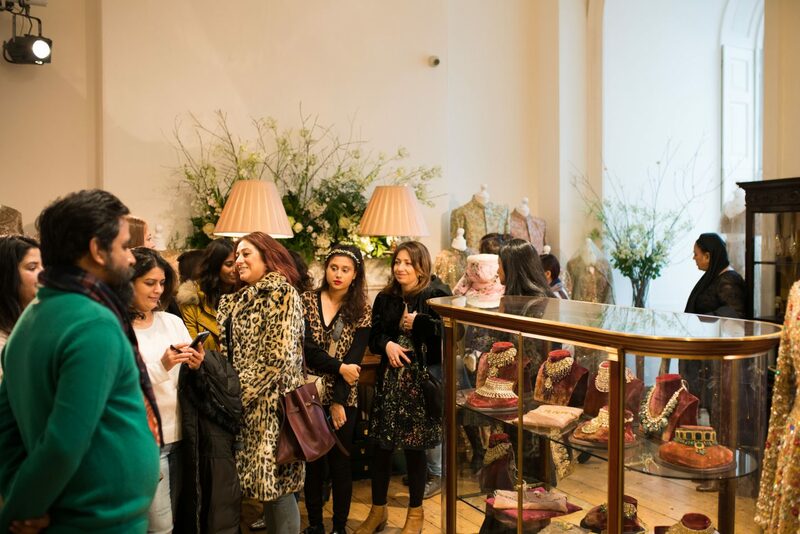 The best part about the show is that it brings India’s top designers to London. 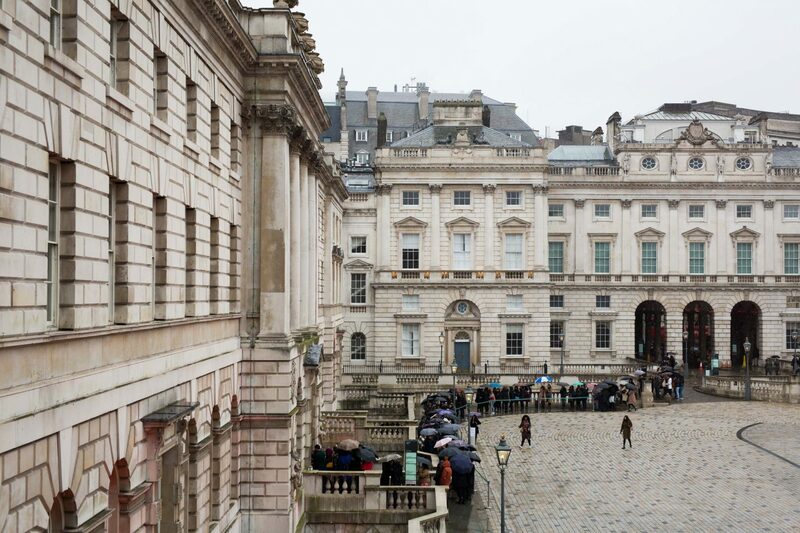 This year, the event was organised at one of London’s most prestigious venues – Somerset House. I had the opportunity to attend the media preview a day earlier and go through the latest collections. Here is a rundown of my favorites from the show. 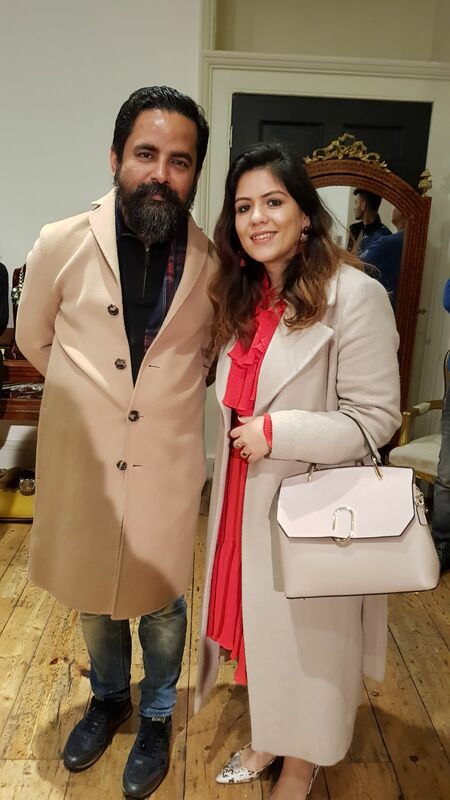 Sabyasachi Mukherjee – I have had the opportunity to meet Sabya a few times at these events. He is one of the most humble and grounded human beings. Despite being a celebrity designer he treats everyone with respect. On the day of the event when there was a big queue outside, he personally came out to greet visitors. This just shows how much he values his customers. This year we also got to see his heritage jewellery which truly complements his clothes and has that vintage Indian vibe to it. 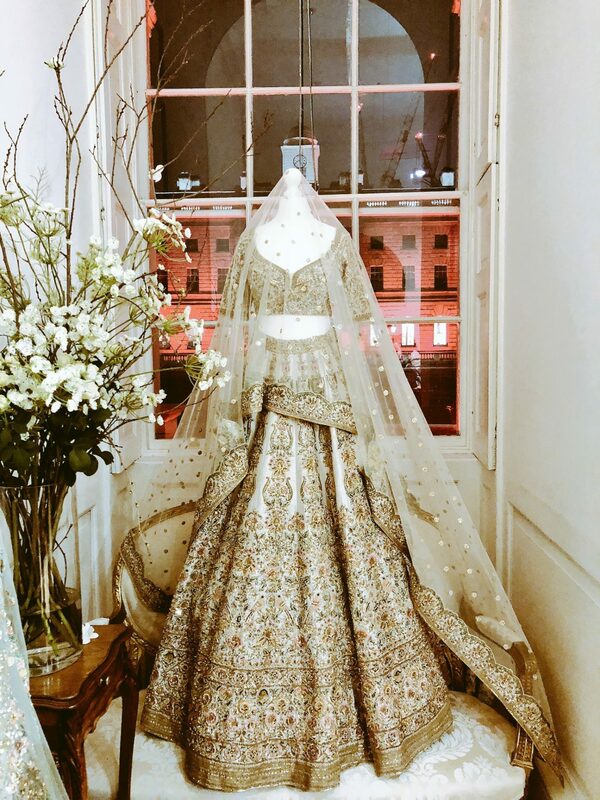 Sabyasachi recently designed all wedding outfits for Anushka Sharma which attracted a lot of media attention. With western celebrities like Oprah wearing his sari, he is truly paving the way for us to wear our traditional outfits more often. Bageecha– I recently started following them on Instagram and loved their feed. 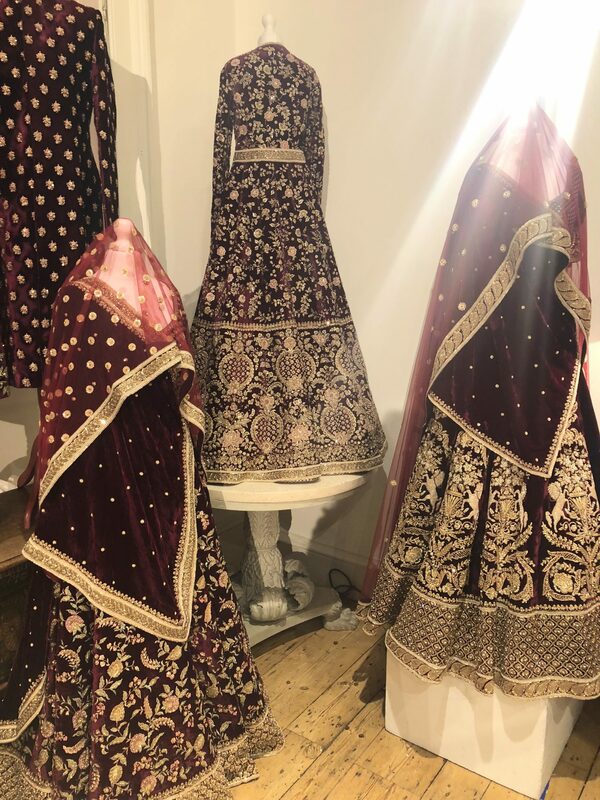 I really enjoyed going through the unusual colour combinations of their banarasi lehengas. 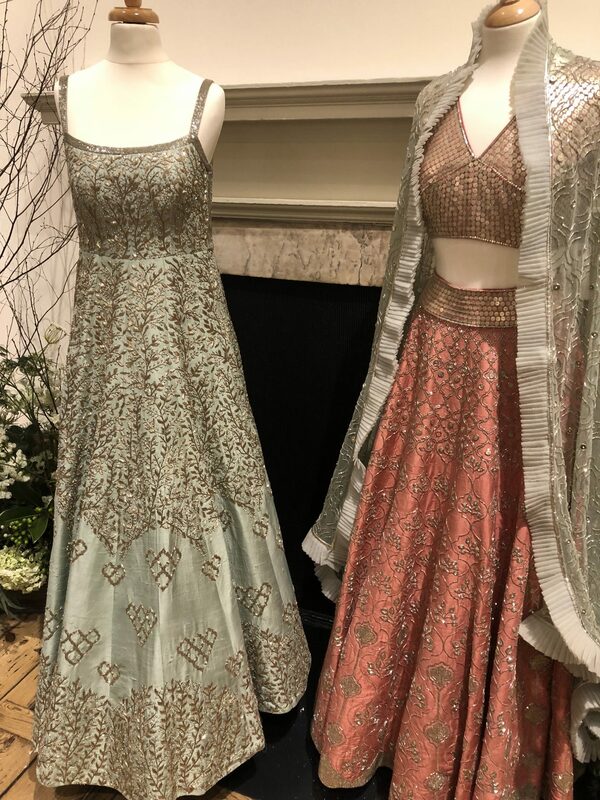 They use delicate and soft colours to create these beautiful outfits. 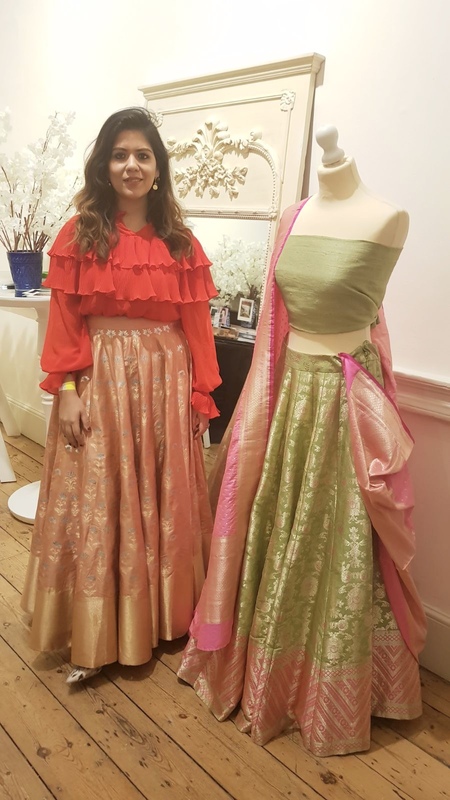 I fell in love with their clothes and was so tempted to try this onion pink colour lehenga. The lehenga was extremely lightweight and I loved twirling in it. 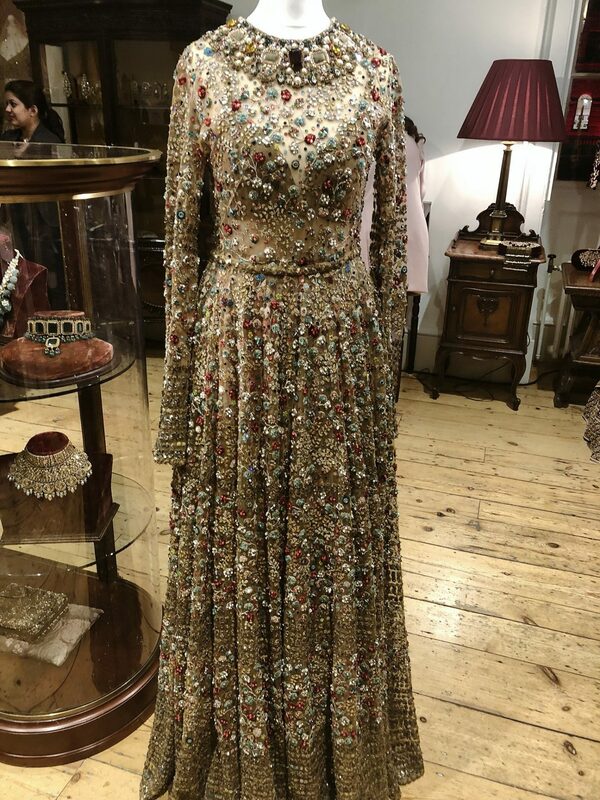 This could be a perfect mehndi or haldi day outfit for a bride or bridesmaid. Gaurang – I don’t have to say much about Gaurang. 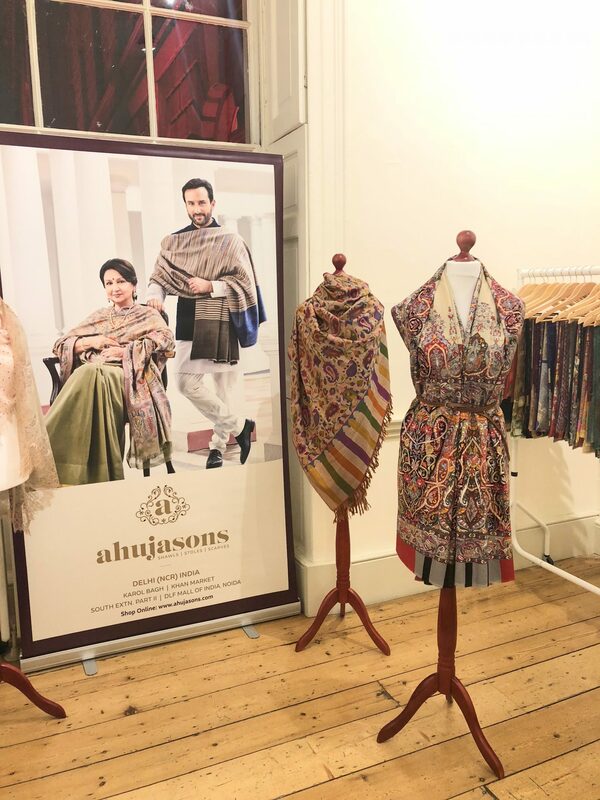 The brand is creating waves in the Indian fashion industry. 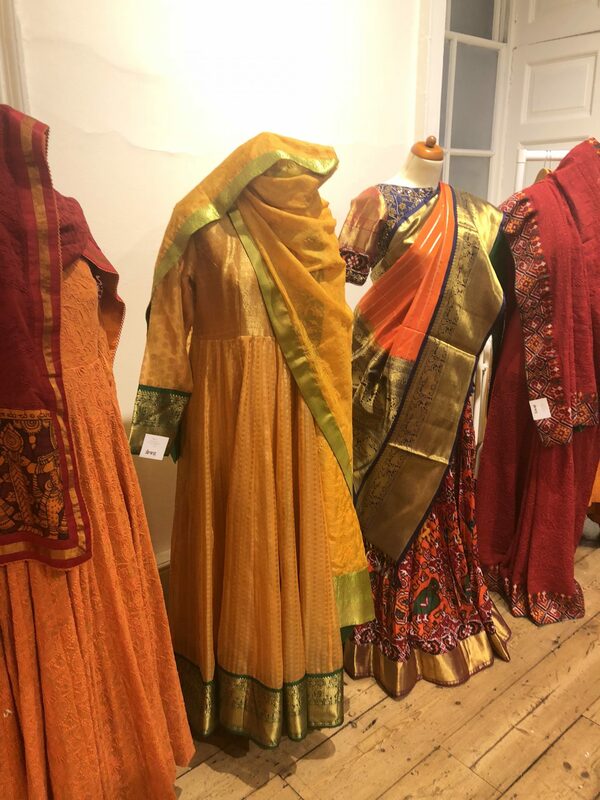 Gaurang likes to dress up women in traditional Indian dresses like saree, salwar-kameez and ghagras. 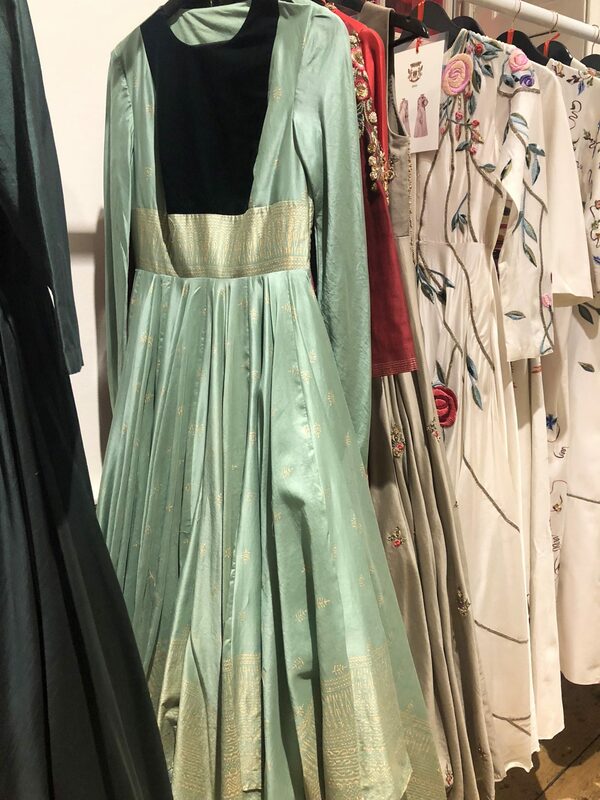 The label personifies elegance and revives the beauty of traditional handlooms, weave, and fabric. 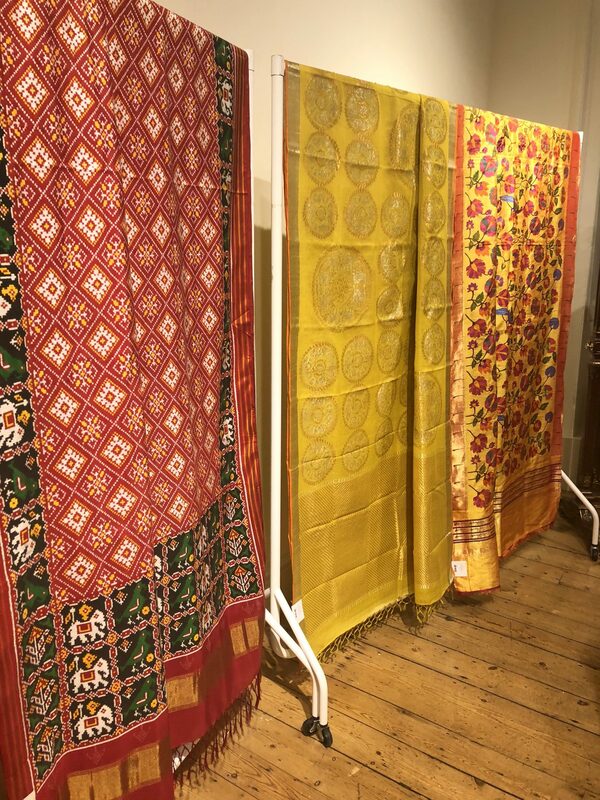 I saw patan patola, chikankari, kota silk and brocade fabric. I was so tempted to try this patan patola outfit. It looked regal and very traditional. I am glad I tried it on. Mishru Official – A new brand on the Indian fashion scene, Mishru believes in creating wearable Indian designs. The clothes looked beautiful and fresh. Totally recommend that you check them out. 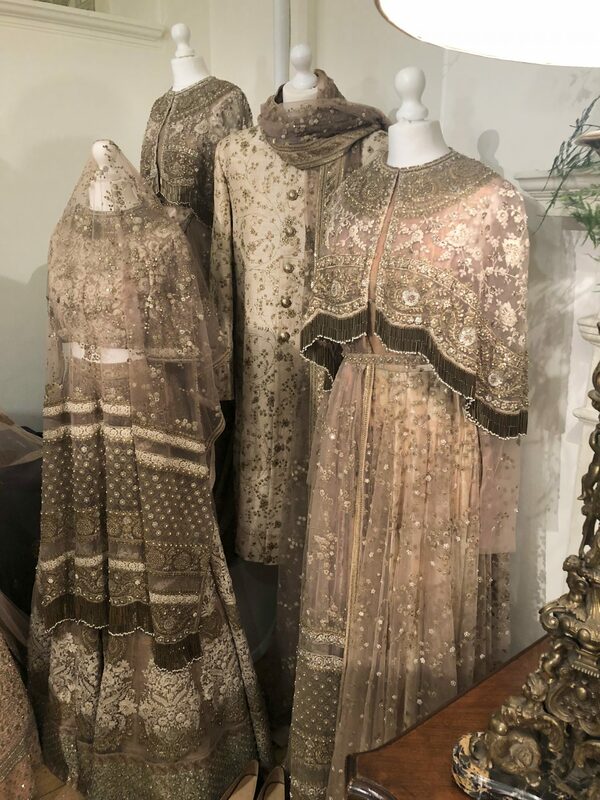 Anamika Khanna – She is one of my favourites. 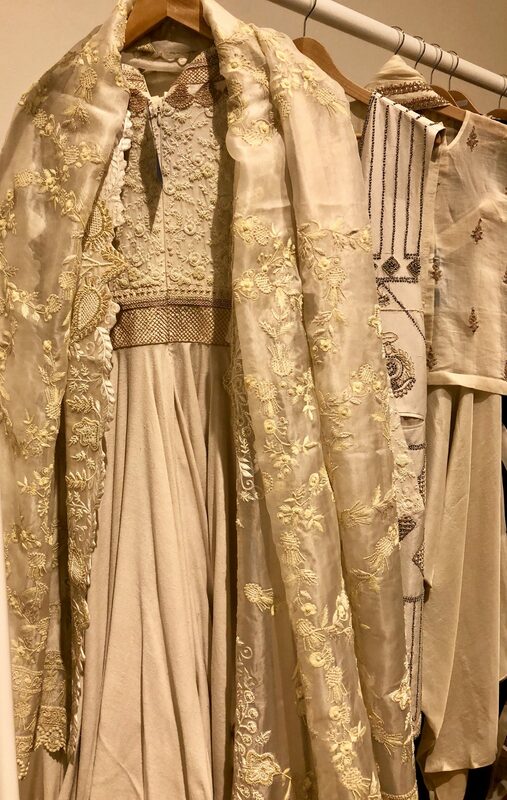 Next time if I buy an Indian designer outfit, then it has to be Anamika Khanna. I love her interesting drapes and her modern take on Indian designs. 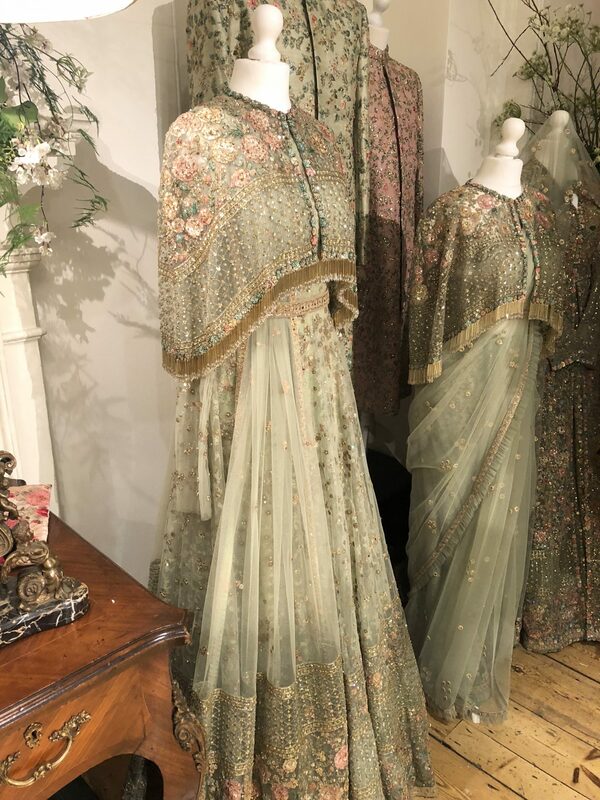 Especially in London where you can’t wear a formal Indian outfit to events, you can definitely carry an Anamika Khanna outfit to formal events. 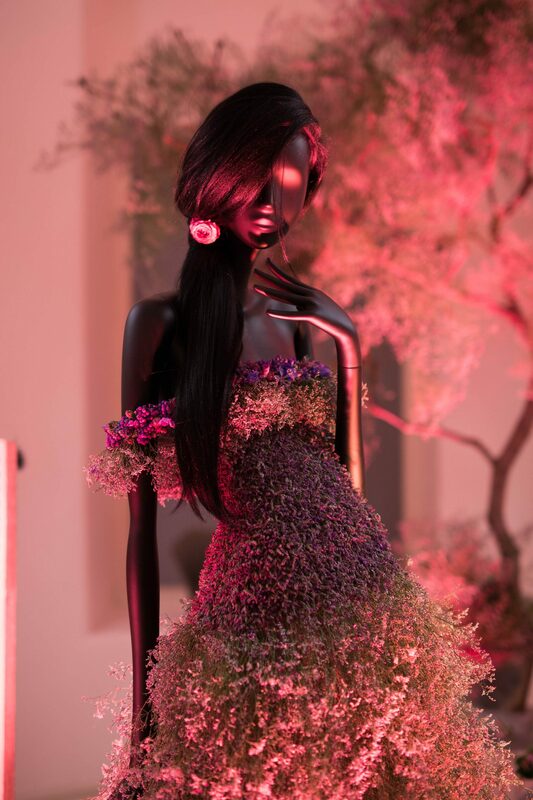 Gaurav Gupta – He is one of the most recognised names in the Indian fashion wedding scene. 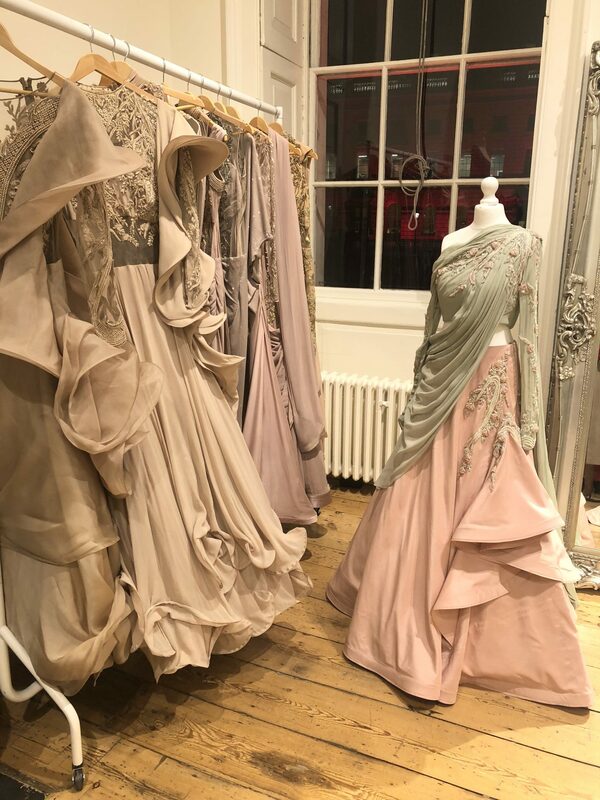 An alumnus of Central Saint Martin’s College, London, Gaurav’s work focuses on motion of fabric, embroideries in three dimensions, volume and draping which creates a signature Gaurav Gupta outfit. He showed deep interest in talking to us and was very passionate about his work and what he can offer to his clients. 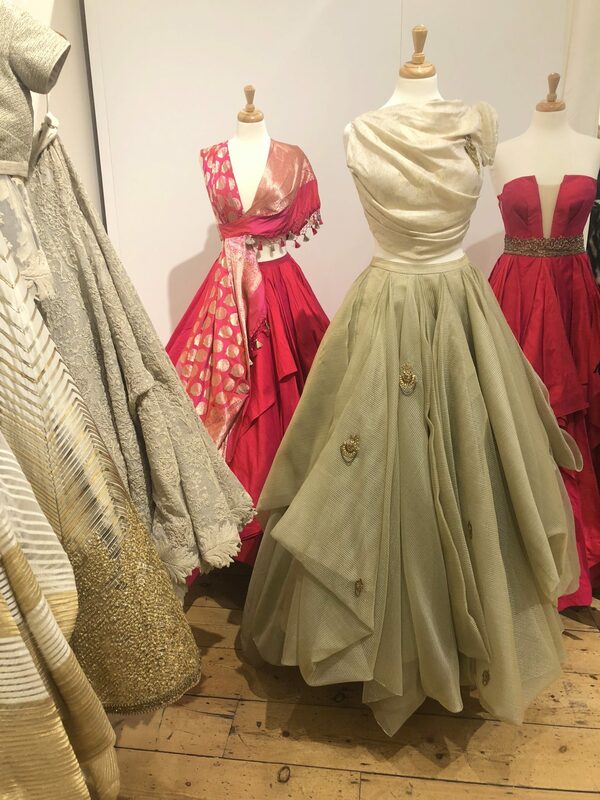 List of all participating designers : Sabyasachi, Tarun Tahiliani, Gaurav Gupta, Anamika Khanna, Astha Narang, Bageecha, Elan, Gaurang, Mishru, Ridhima Bhasin, Samant Chauhan, Shantanu & Nikhil, Shehla Chatoor, Shyamal & Bhumika and Varun & Nidhika. 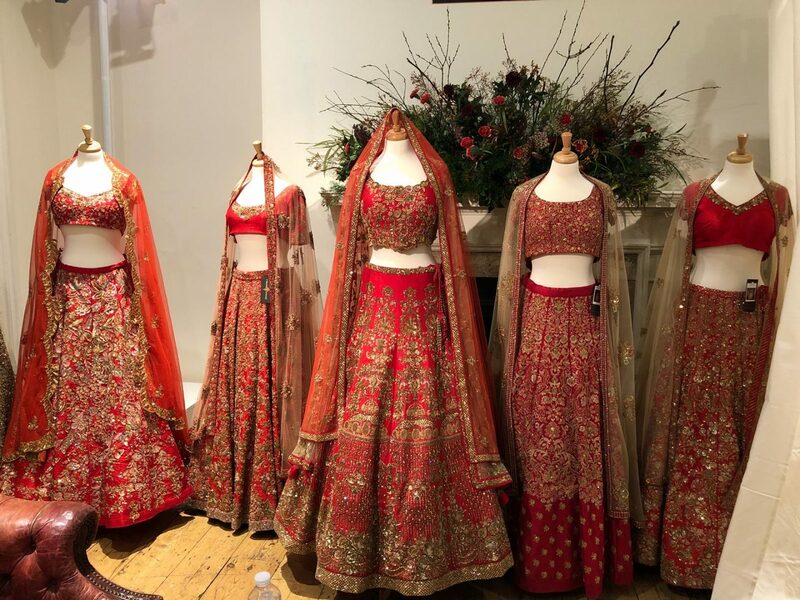 The show curated the very best of Indian bridal wear, occasion wear and couture collections. 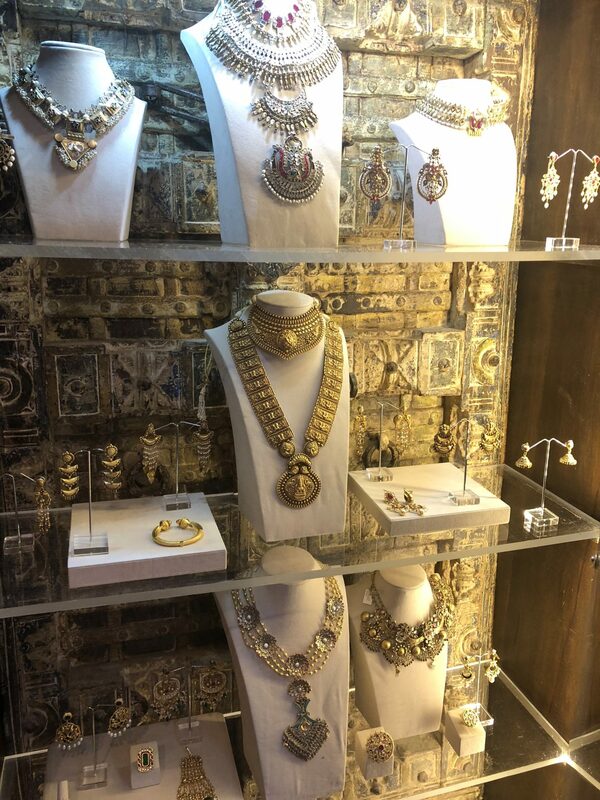 Along with clothes there were fine Jewellery brands like Amrapali, Araaya, Birdhichand Ghanshyamdas Jewellers, Jaipur Gems, Jewels by Queenie, Khanna Jewellers, Moksh, Rose Diamonds and Sunita Shekhawat. There were some additional master classes as well from key industry experts. 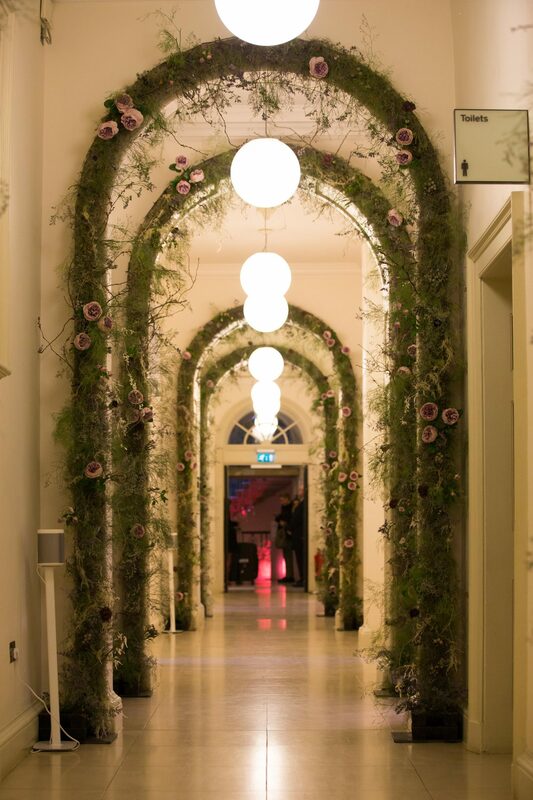 The Somerset designer gallery area was transformed through floral styling by Zita Elze. 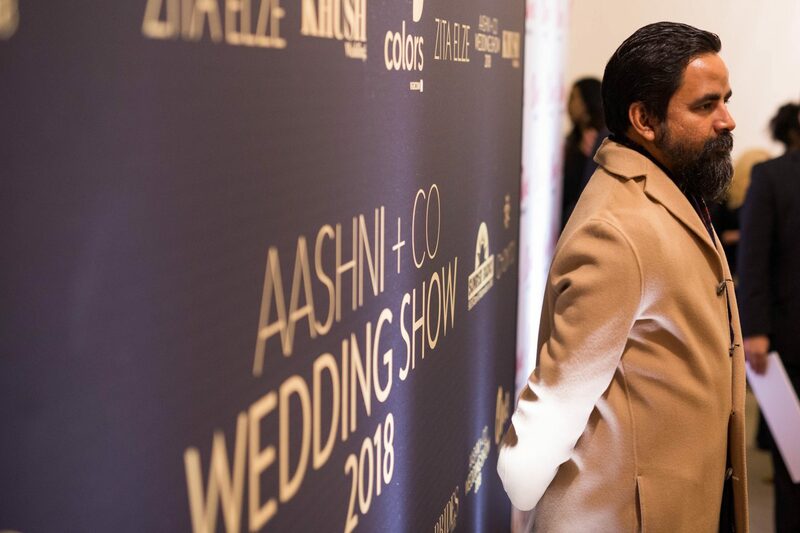 Other participating brands were Aamir Naveed, Ahujasons, Ambreen Ahmed, Chakra, Puneet Gupta Invitations, Rani Pink, Rusaru, RWS, Shaan Mu and The Wedding House. I had a lovely time browsing through the latest in Indian fashion and interacting with industry experts. 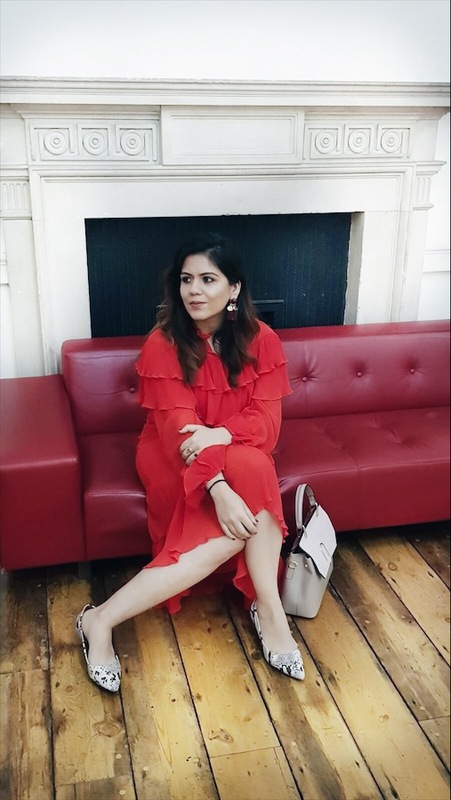 And as always its fun to meet my fellow Asian bloggers at these events.